Highly decorative metal garden gate design. Creates a wonderful focal point. Handmade in the UK to high standards, the Regency metal garden gate features a large central scroll motif and ornate metalwork to create a highly individual look without the need to specify a custom design. Creates a custom look at an amazing low price. Manufactured in the UK using high grade solid steel components. 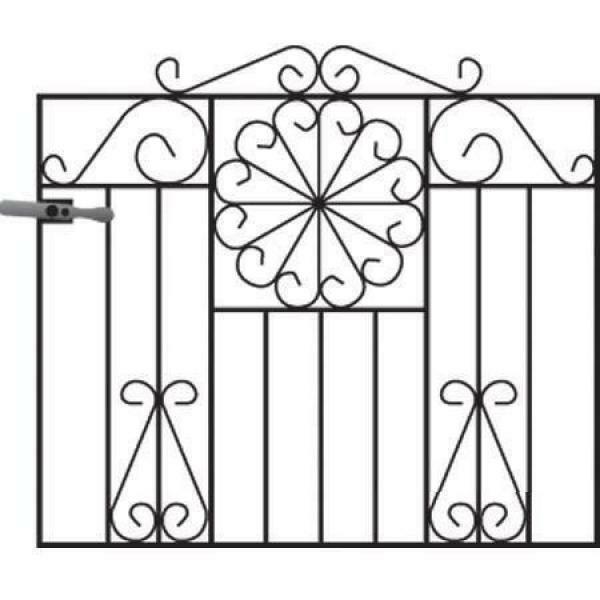 Regency garden gates are available in a selection of sizes. Supplied with adjustable hinges and a universal latch to enable left or right hand hanging. Metal gates are finished with a black primer and need to be painted before installation. Do you need assistance selecting the correct size? 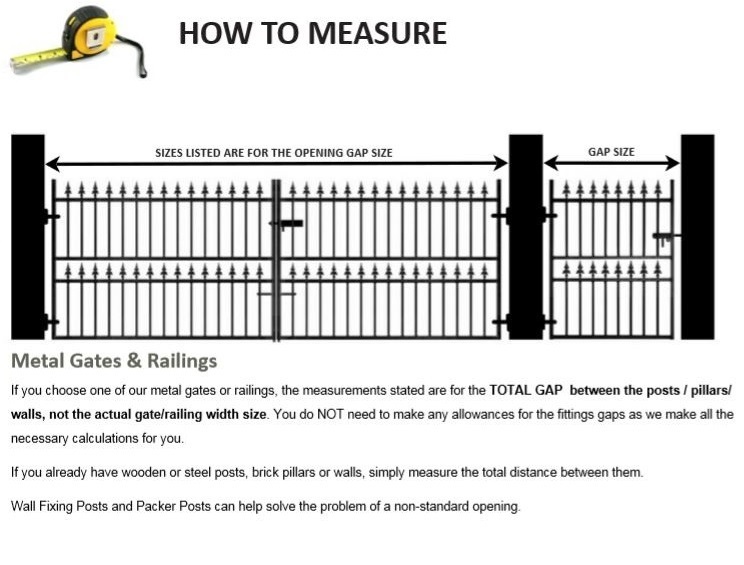 Contact us by phone or email or refer to the measuring guide and order information pages. 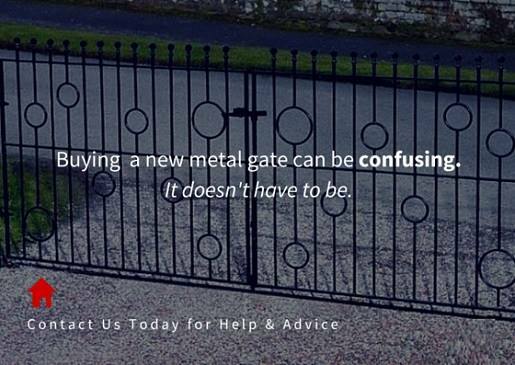 If you would like to order additional items such as metal posts or want to specify the gate in a non-standard finish please call now on 0844 804 5577, email sales@gardengatesdirect.co.uk or fill in our enquiry form and we will be on hand to discuss your options.